Paterson MacDougall has built a strong insurance and reinsurance practice. Our firm has been representing insurers and reinsurers for over 35 years. Our clients include large global insurers and reinsurers. 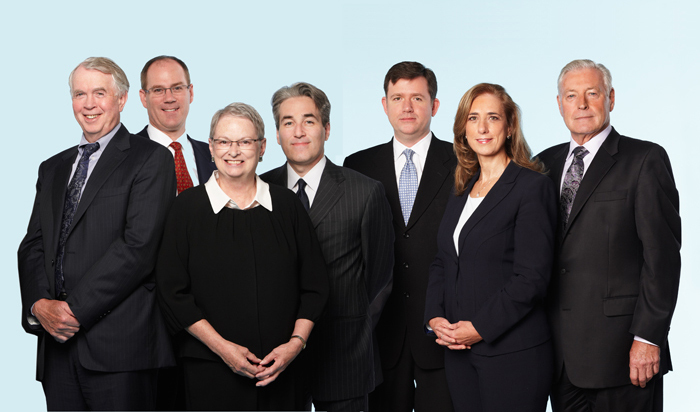 We have acted as counsel and as litigators in a wide variety of insurance matters. Our team offers in-depth coverage advice over a broad range of insurance and reinsurance areas, including coverage disputes, defence of claims, and representation in mediations and arbitrations. We solve problems effectively and quickly, find innovative, cost effective and practical solutions. We keep in touch, report clearly and frequently on what is occurring and what needs to be done and provide coverage and liability opinions and recommendations with a strategy on how to resolve matters effectively. We understand the insurance business and our decades of experience contribute to reducing costs and increasing efficiency in the claims resolution process. For more information, please contact a Paterson MacDougall insurance law specialist or call 416-366-9607.